INVESTMENT IN THE TOURISM SECTOR, THE SECOND LARGEST CONTRIBUTOR TO FOREIGN CURRENCY RESERVES, IS STRONGLY ENCOURAGED. SINCE NAMIBIA IS RANKED AS THE 4TH MOST FAVOURED TRAVEL DESTINATION IN AFRICA, PROSPECTIVE INVESTORS CAN REST ASSURED THAT NAMIBIA’S TOURISM SECTOR WITH ITS HIGH STANDARDS IN ENVIRONMENTAL PROTECTION IS STILL GOING TO GROW FURTHER. Players involved in tourism consist of private owners, parastatals such as Namibia Wildlife Resorts and the Namibian government represented by the Ministry of Tourism. This industry comes in many different guises, with the hospitality business, sightseeing, hunting and trophy hunting all offering lucrative business opportunities. 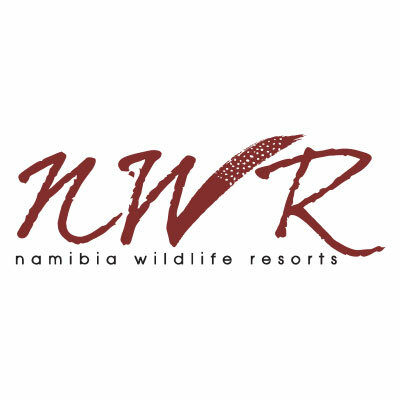 Conservation is a cornerstone of the Namibia experience. Namibia was the first African country to incorporate protection of the environment in its constitution, and the government has reinforced this by giving its communities the opportunity and rights to manage their wildlife through communal conservancies. Today, over 43% of Namibia’s surface area is under conservation management. This includes national parks and reserves, communal and commercial conservancies, community forests and private nature reserves. Part of Namibia’s allure is that it is like four countries in one. Four different landscapes, each with their own characteristics and attractions. The most easily distinguishable is the Namib, a long coastal desert that runs the length of the country and is marked by migrating dune belts, dry riverbeds and canyons. Most of the towns and villages are found on the central plateau which is characterised by rugged mountain ranges and sandy valleys. The ancient red sand of the vast Kalahari Desert is sparsely vegetated. But the Kavango and Zambezi regions, blessed with generous amounts of rain, boast tropical forests, perennial rivers and woodland savannahs. Namibia is home to approximately 4,350 species and subspecies of vascular plants, of which 17% are endemic. Six hundred and seventy-six bird species have been recorded, more than 90 of which are endemic to Southern Africa and 13 to Namibia. As for mammals, 217 species are found in Namibia; 26 of them are endemic, including the unique desert-dwelling rhino and elephant. This high level of endemism lends global significance to Namibia’s efforts to protect biodiversity. Dragon’s Breath is the largest underground lake in the world. It is situated on the farm Hariseb, 46 km northwest from Grootfontein off the road C42 to Tsumeb. Hoba Meteorite is the largest known meteorite in the world. It was discovered in the 1920s on the farm Hoba West some 20 km from Grootfontein. The meteorite is approximately 80 000 years old and weighs more than 50 tons. Namibia boasts the largest free-roaming population of black rhinos and cheetahs in the world and is the only country with an expanding population of free-roaming lions. Over 1.5 million visitors arrived in Namibia in 2015, representing a 3% increase on 2014 when 1.4 million arrivals were recorded. The tourist figures also indicate that in 2015 the largest numbers of visitors arrived from Angola, South Africa, Zambia, Germany, the United Kingdom, the United States and France. The peak season for overseas tourists coming to Namibia is May to September. The Federation of Namibian Tourism Associations (FENATA) acts as an umbrella organisation for tourism associations in the private sector. As such, it is the voice of the tourism industry in Namibia, serving as a community vehicle between the government and the private sector. Since its inception in 1987 the has grown from an initial 16 members to a total of close to 400 members. H·A·N represents the full spectrum of the hospitality industry, from hotels to guesthouses, guest farms and lodges, rest camps, restaurants, conference centres and catering services. Increasing numbers of tourism and hospitality-related businesses have joined H·A·N over the years, making it a true umbrella-organisation and an important factor in the Namibia tourism & hospitality industry in general. For the international hunting clientele, one of the main attractions of hunting in Namibia is the high standard of ethics maintained by the Namibia Professional Hunting Association (NAPHA). All hunting resorts are under the strict supervision of the Directorate of Resource Management of the Ministry of Environment and Tourism (MET). Tourism is increasingly becoming one of the most important industries in Namibia. The Namibian government realizes the importance of tourism for the future economic development of Namibia and stresses the importance of quality training as a pre-requisite to realize the full potential of tourism. Hence, the Namibian Academy for Tourism and Hospitality (NATH) was formally launched as an Article 21 Company in August 1994 (Reg. no. 21/91/449). 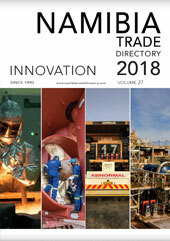 Since its inception in 1999 the Namibia Tourism Expo has consistently grown and earned a superb reputation for offering the only centralized marketing platform for Namibia’s tourism industry. Apart from presenting a highly effective showcase for tourism exhibitors, the organisers have revitalized the exhibition year after year by expanding the Expo. The 2017 Namibia Tourism Expo will take place from the 31st of May to the 3rd of June.